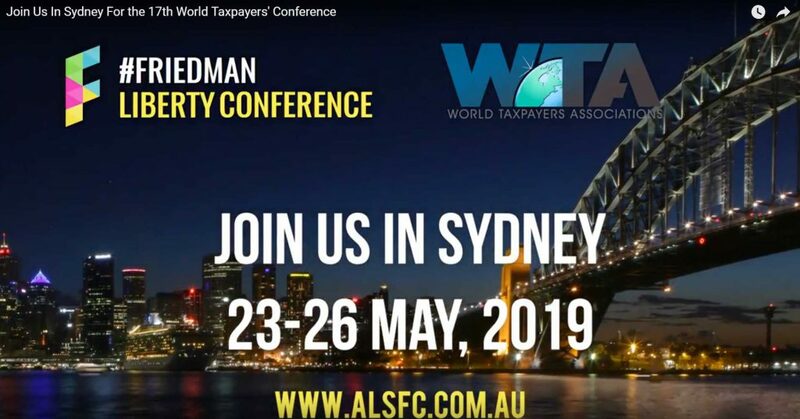 First, on a personal note, I want to let everyone know that I will not be seeking re-election as chair of World Taxpayers Associations next May at our General Meeting in Sydney. I have very much enjoyed almost 10 years of involvement on the WTA board with three as your chairman. However, I’ve recently made a decision to step down as president of the Canadian Taxpayers Federation and look for new opportunities and challenges in life. I believe strongly that renewed leadership is critical for organizations to thrive – and have no doubt WTA will remain on an upward trajectory under new leadership going forward. If you have paid your 2019 Membership Fee to the WTA, you are entitled to free access to this event. 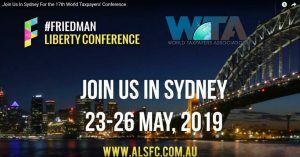 Please e-mail Melanie Harvie at melanie.harvie@worldtaxpayers.org for your discount code. 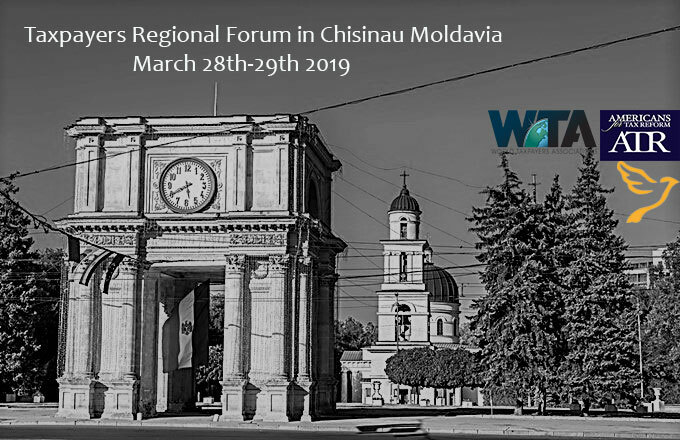 The code is valid for two registrants within your organization until February 15th, 2019. After that, a fee of $50 USD per person will be charged. More information will soon be available on WTA’s website and partnering organizations. 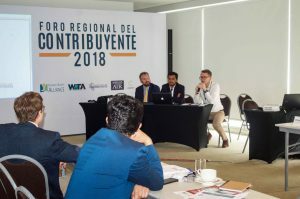 Twenty-three delegates from 12 countries joined in Lima, Peru for the second Regional Taxpayers Forum of 2018, and the first ever WTA event in Latin America. The event sponsored by World Taxpayers Associations, Americans for Tax Reform and Peruvian Taxpayers Association (Asociación de Contribuyentes del Perú) focused on advancing the taxpayer movement in Latin America. 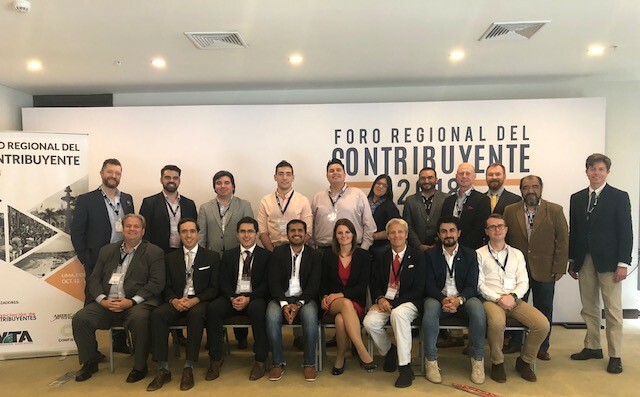 Attendees shared ideas on fundraising, social media, coalition meetings, tax reform, and on how to implement free-market public policies in Latin America. Previous to the event, the Peruvian Taxpayers Association held their first Taxpayers Forum in Peru, where more than 50 attendees gathered to learn from local and international speakers on the importance of property rights and tax reform for economic growth. Thank-you, to ATR and ACP for their collaboration and to everyone who participated. What is usually fought out in the hockey rink between Sweden and Canada is now a public relations battle with maple syrup and Swedish meatballs being tossed across the North Atlantic. The Canadians fired the first shot. You see, the Canadian Taxpayers Federation (CTF) has long been a critic of hosting costly Olympic Games. At issue is the City of Calgary seeking to land the 2026 Winter Olympics. The CTF has brought enough opposition to the bid that the city is holding a plebiscite on the matter November 13th. The CTF is leading the NO vote campaign! But all is not lost. The CTF’s solution is simple: get behind the competing bid which is currently being put forward by Stockholm Sweden. 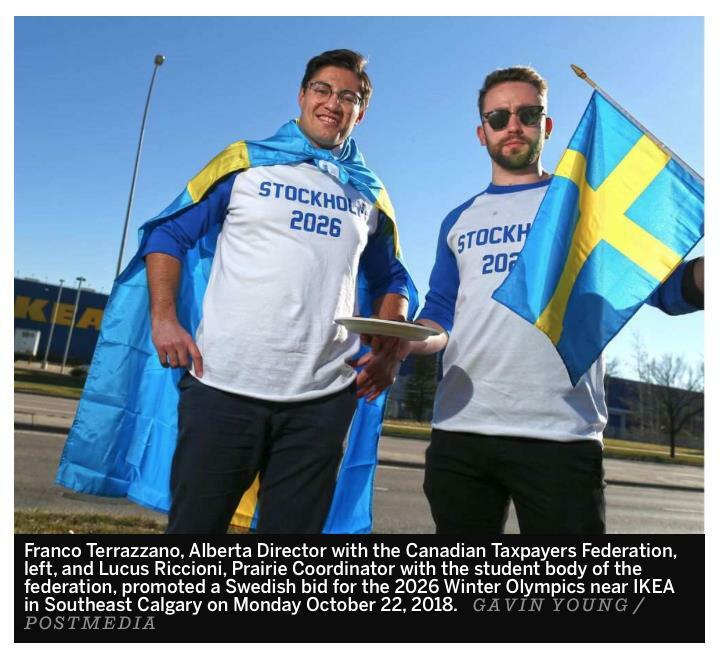 At a press conference, the CTF officially announced its support for the 2026 Stockholm Winter Olympic bid arguing it will save Canadian taxpayers billions and no doubt be better run. You can see a video here and news coverage here. Not so fast say the Swedes. The Swedish Taxpayers Association (Skattebetalarna) issued a statement arguing Calgary would be a much better host with colder temperatures than Stockholm and since Canada has lower taxes than Sweden, Canada can better afford it. Referring to the 1998 and 2010 Winter Olympic Games, Skattebetalarna president Christian Ekstrom launched a counter campaign called “Make Canada Pay Again.” You can read more news coverage here. And a recent Guardian analysis on growing Olympic largesse here. We’ll have an update for you in the next newsletter! 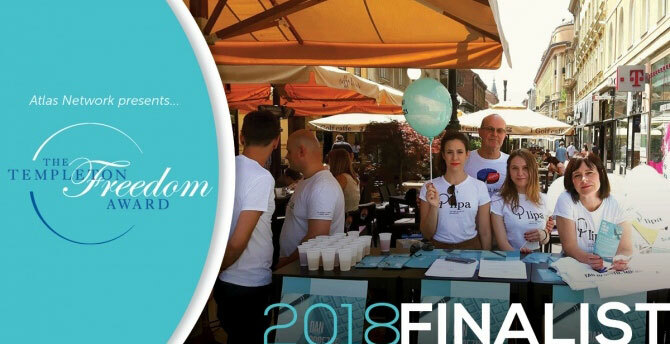 Lipa, Croatian Taxpayers Association has been nominated as the 2018 Templeton Freedom Award Finalist for its campaign to protect Croatia’s homeowners. Nearly 90 percent of Croatians own their own homes, so when the Croatian government passed a property tax for the first time in 2017, Lipa refused to stand by and allow this property tax to hit an already troubled economy. Its efforts led to the tax’s full repeal. 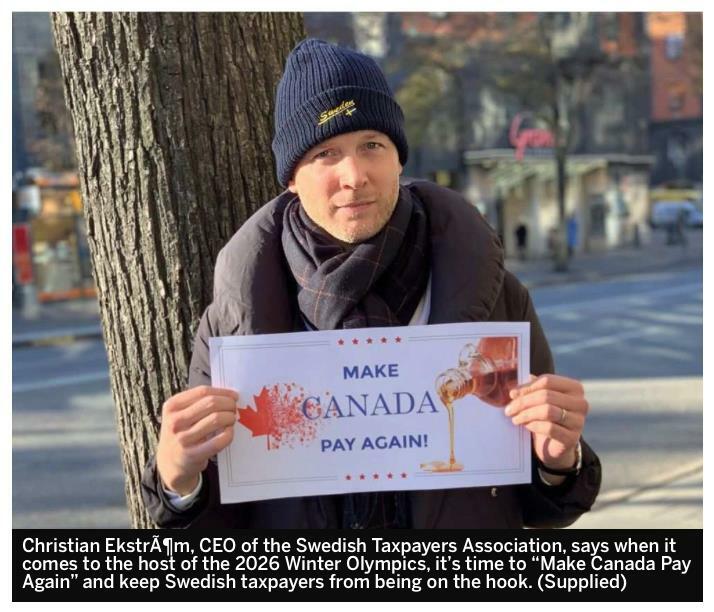 The Canadian Taxpayers Federation is also shortlisted for an Atlas Network Award: The Lights Camera Liberty Film Festival Award for its video drawing attention to the growing tax differential between beer in Canada and the United States. Taxpayers Association of Ukraine (TAU) in partnership with Deloitte is organizing an outstanding business forum “LЕVEL UP UKRAINE 2018.” The main goal of the forum is to create a platform for an open discussion on tax and investment decisions between the state, businesses and potential international investors. 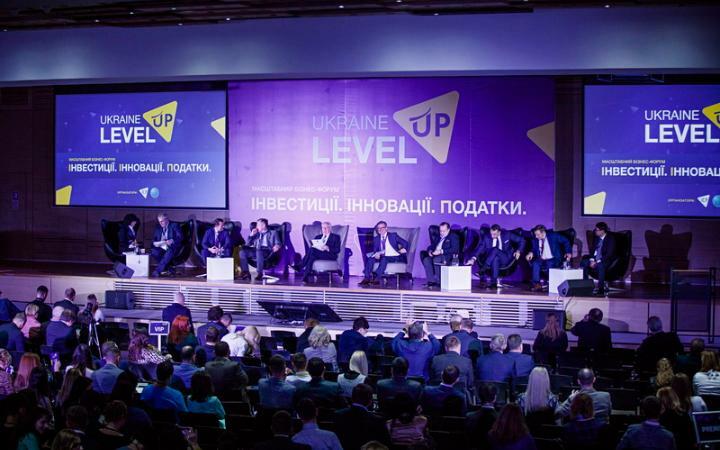 The forum will bring together key players of Ukrainian and international entrepreneurs, including investors, regulators and experts. TAU is pleased to invite members of WTA to this event. 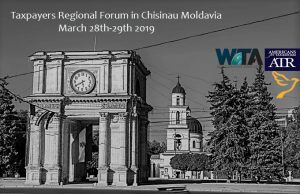 The forum will take place on November 28, 2018 at the Fairmont Grand Hotel Kyiv (1 Naberezhno-Khreshchatytska Street, Kyiv). In addition, TAU’s 20th anniversary will be celebrated on November 30, 2018. Contact Polina Kolodyazhna, email: polinakolodyazhna@ukr.net, mobile phone: (viber, whatsApp): +38 (063) 416 55 91. Bryan Riley and Andrew Wilford from NTU explain that the latest round of tariffs now means that the total tax increase on Americans from enacted tariffs exceeds the tax increases from the Affordable Care Act, (un)popularly known as “Obamacare.” On Sept. 19, President Trump imposed a 10 percent tax on $200 billion of Chinese imports. On Jan. 1, 2019, this tax will rise to 25 percent. But even without that January tariff rate increase, trade taxes on American businesses and consumers will exceed those of the ACA. 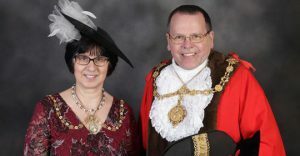 Read full story here. Following TaxPayers’ Alliance recent research on mayoral car spending, Scarborough council are set to review their use of hire cars for ceremonial duties, potentially saving thousands of pounds per year! To read more on this story click here. Also, the TaxPayers’ Alliance has formally submitted a representation for Budget 2018, calling for a cut to Air Passenger Duty. 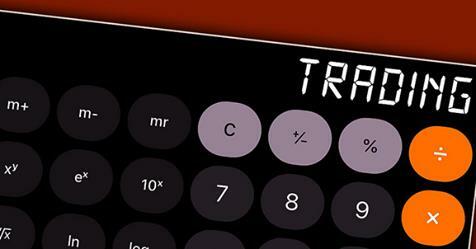 The UK has the highest short and long-haul aviation tax anywhere in Europe. Countries nearby, like Ireland, have abolished their air taxes. Northern Ireland gets hit particularly bad, as holidaymakers head to Dublin to dodge the unnecessary costs. Flying does have consequences, like emissions and noise for people who live right near airports, but the £3.5 billion it raises pays for those many times over. 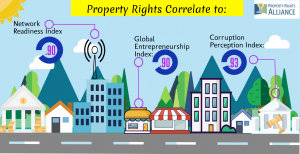 Property Rights Alliance, in partnership with the Free Market Foundation in South Africa and in cooperation with 113 think tanks across the world released the 2018 International Property Rights Index. 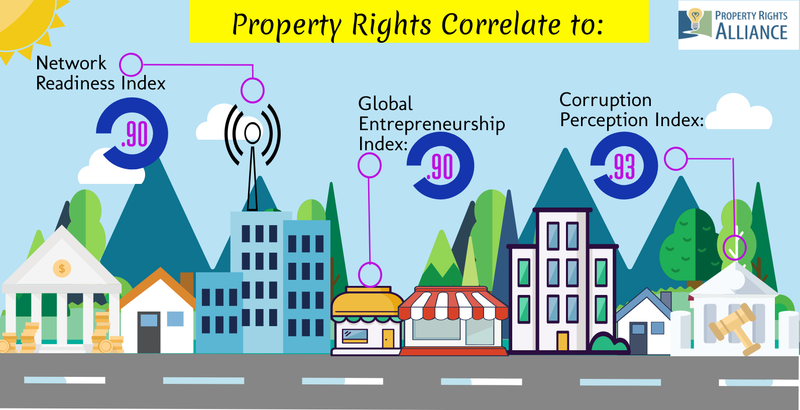 The Index measures the strength of physical property rights, intellectual property rights, and the legal and political environments that contain them. For the first time the United States fell from being 1st in the world for intellectual property protections to 2nd, yielding to Finland, which also passed New Zealand to become 1st in the Index overall (8.69). 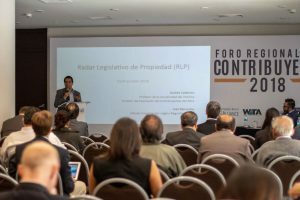 The Index is also the first publication to utilize the recently updated Patent Rights Index developed by Professor Walter Park at American University. Property rights are a key indicator of economic success and political stability. Renowned economist Hernando De Soto said, “weak property rights systems not only blind economies from realizing the immense hidden capital of their entrepreneurs, but they withhold them from other benefits as evidenced through the powerful correlations in this year’s Index: human freedom, economic liberty, perception of corruption, civic activism, and even the ability to be connected to the internet, to name a few.” For more information, click here. 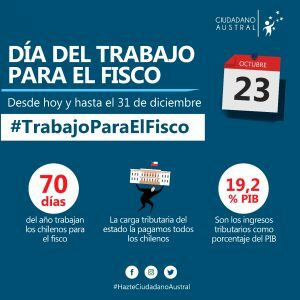 A recently released study of Ciudadano Austral inspired by the latest Taxpayers Regional Forum in Peru, just released a new study on Tax Freedom Day in Chile that concludes that the whole income of Chileans from October 23 to December 31 2018 is going directly to the tax collecting agency. Chileans are working 70 days for the government, one more than in 2016 and 17 more than in 1990. The Tax Foundation released the 16th edition of its State Business Tax Climate Index. 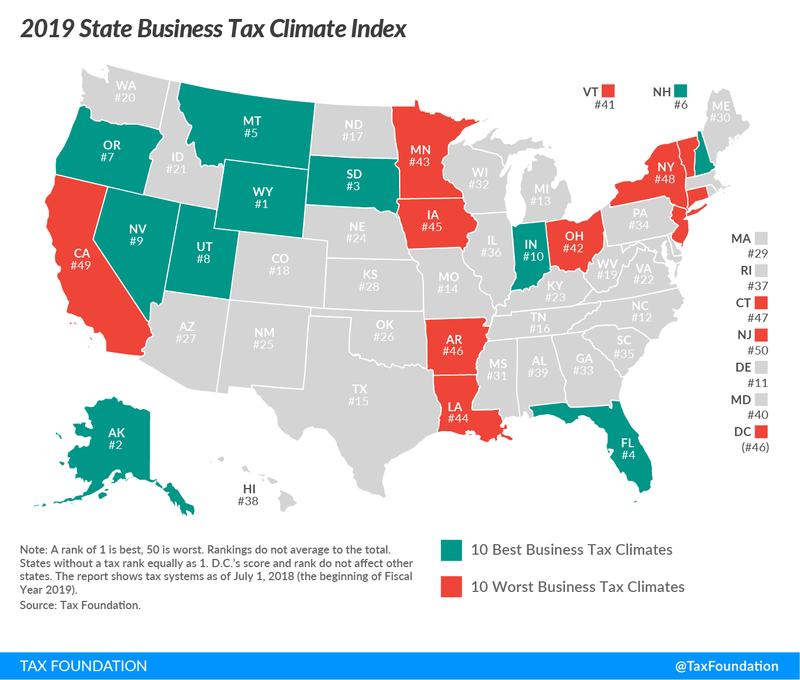 The State Business Tax Climate Index is a measure of how well states structure their tax systems. 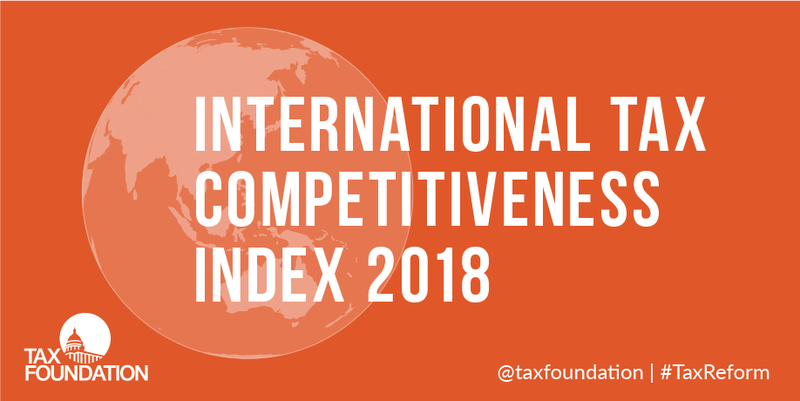 It enables policymakers, business leaders and taxpayers to gauge how their states’ tax systems compare, and provides a roadmap for improvement. The social and fiscal contribution from large companies in France and worldwide remains largely unrecognized. 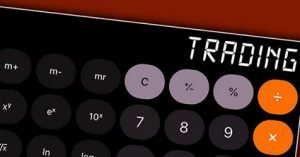 Traditional financial accounting devised to present corporate earnings, focuses on financial data and understates the benefits for the French and global community while overstating shareholders’ income by presenting dividends before taxes. A study by Institut Économique Molinari aims to remedy this. 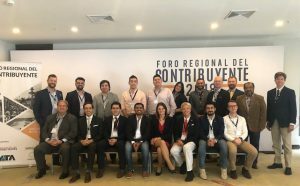 It presents a new way of quantifying the social and fiscal contribution from the top 40 companies and how it is shared between employees, governments and shareholders. It shows that the 40 companies created €338 billion in wealth for the French and global community in 2016. 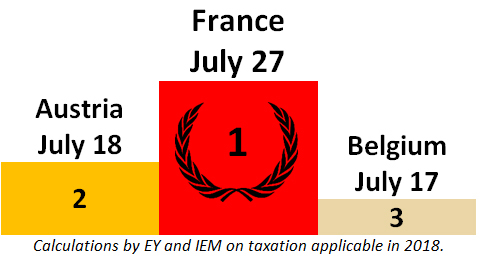 This €338 billion generated €240 billion in wealth for employees, €66 billion for French and foreign governments and a net €32 billion for shareholders. 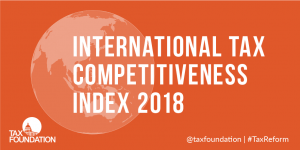 Institut Économique Molinari published for the ninth year in a row, its study on the actual tax and social burden faced by the average employee in the European Union (EU). 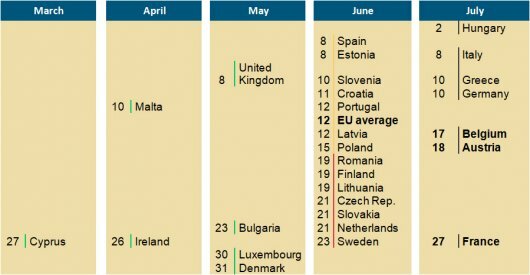 This ranking has the distinct feature of showing the pressure endured by average employees for the current year, using a solid methodology applied uniformly throughout the EU and providing a good grasp of the true impact of taxes and charges and of the shifts that are occurring. The index is based on a straightforward methodology, using an analysis of a model company (micro-company with 4 employees producing blacksmith products) and all its bureaucratic duties (ranging from taxes, worktime planning through health, safety, and waste management) are assigned a specific time cost. 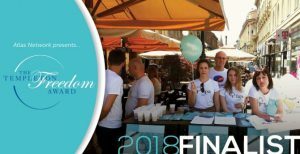 This year, Slovakia was joined by think tanks from Lithuania (Lithuanian Free Market Institute), Czech Republic (Liberální Institut) and Ukraine (EasyBusiness) who announced their 2018 national results in the first half of October 2018. If you are interested to learn more about the Bureaucracy Index or even join and prepare your own country calculations for 2019, visit bureaucracyindex.org/.